There are numerous RV Parks and Campgrounds in our 12-county Natural North Florida region. Some offer primitive camping and others offer cabins and full RV hookups. 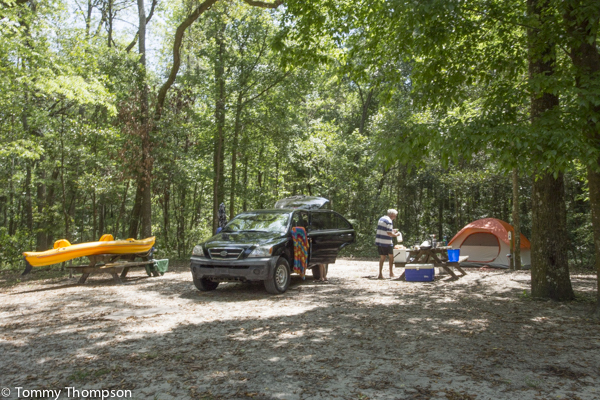 We also have several State and County Parks with camping, as well as private campgrounds. 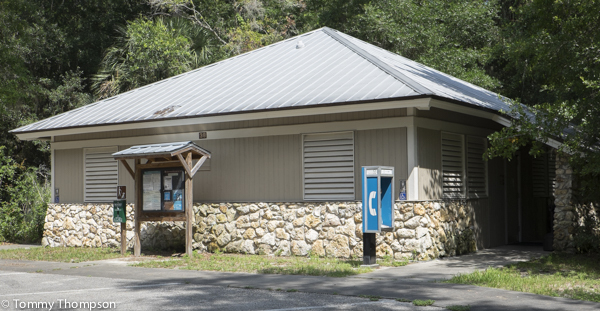 We have recently published a limited number of brochures listing the RV Parks and Campgrounds in the region. If you’d like to receive one by mail, please email me at capttommy@me.com and I’ll see one is sent out right away. Plan ahead! RV sites at Florida’s State Parks are often busy! 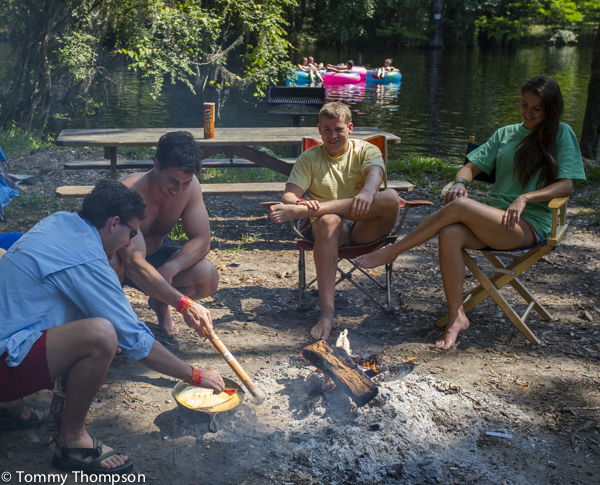 At Ginnie Springs, primitieve campsites along the Santa Fe River are popular with folks of all ages.